While many memory foam manufacturers offer quality products, some opt for a cheaper variety of materials and in turn offer lower prices; but a bargain for your pocketbooks is no bargain for your health. Low mattress prices are directly related to poor quality mattress materials. a) They become flat: Cheap memory foam mattress toppers have a tendency to become flat after repeated use due to poor quality materials and foams. b) The foam hardens: Poor mattress quality means a higher ILD (Indentation Load Deflection), which in turn causes eventual hardening of the foam. c) Allergic skin reactions: Occur with low-quality mattress pads and low-quality memory foams due to inexpensive dyes, fabrics, and chemicals used. d) Cheaply manufactured foam is not environment-friendly because the adhesives used contain harmful toxins which deplete the ozone layer. e) Low-quality foam blend compromises mattress performance. A healthy lifestyle begins with a good night’s sleep. A good night’s sleep begins with a premium quality mattress. 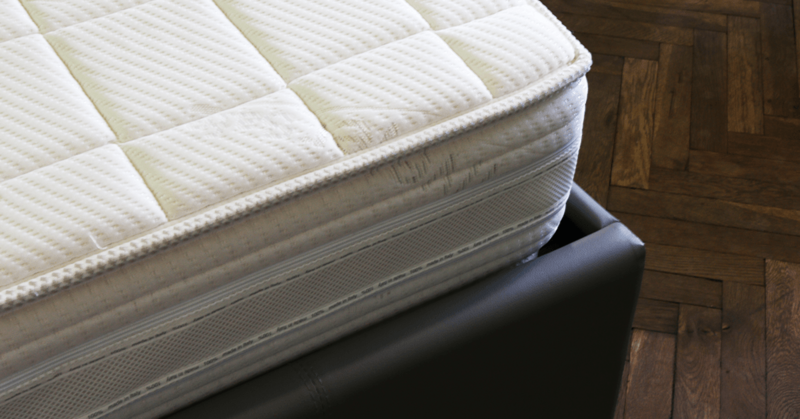 Low-quality memory foam mattresses result in improper support, which in turn affects joints and muscles. You want a mattress to contour to your body's curves and not hammock on you, which cheap foam mattresses will inevitably end up doing sooner than later. You will want a therapeutic mattress that gently contours to your entire body offering support to your neck and back. Using a premium quality latex memory foam mattress greatly improves comfort level because of proper spinal alignment and support. When proper body alignment is achieved, it allows your body to recover from stress endured throughout the day. Proper alignment ensures proper blood circulation which is critical for hydrating the spinal cord and repairing body and mind while you sleep. Premium quality memory foam mattresses will save you from joint pain and back problems, allowing you to live life to the fullest.